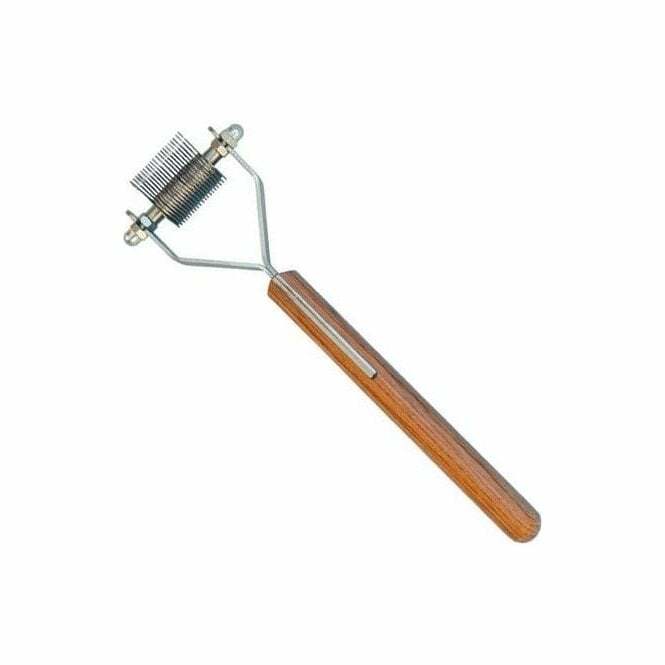 Professional hand stripping tool suitable for finishing long or silky coats. Also works as a de-matter. Ergonomic extra-long handle fits comfortably in the hand. 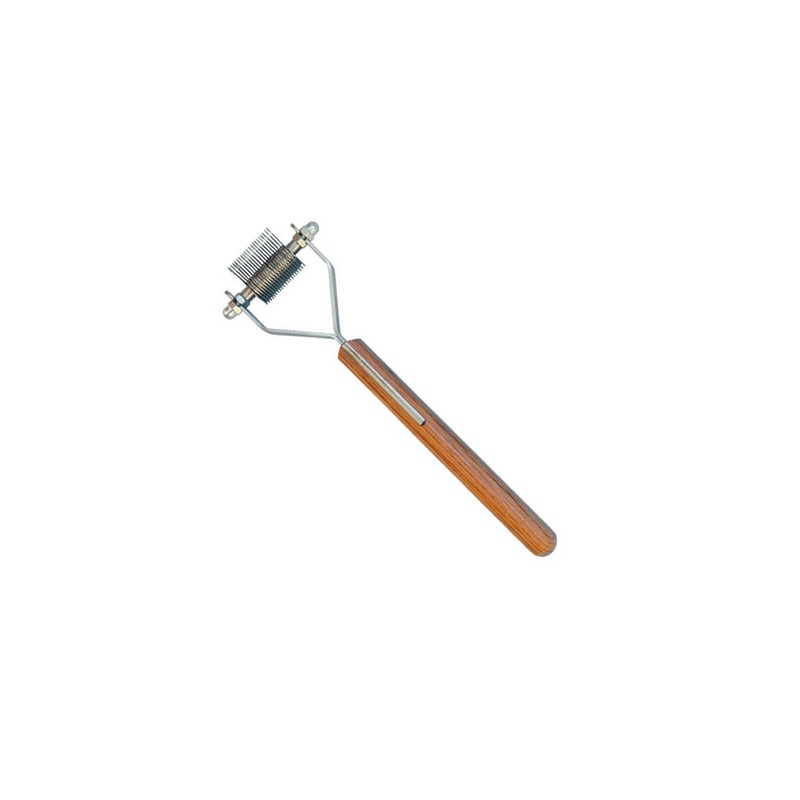 The Mars 20 Blade Coat King is a professional tool designed to strip and de-matt canine hair. Featuring precision-engineered blades constructed from high-quality German steel, this tool gives the ultimate strip. Includes 20 curved blades that are ideal for finishing and carding long and silky coats. This Coat King has an ergonomic, extra-long handle that fits comfortably in the hand for easy grip and reduced slippage. This Coat King has extra-fine teeth, and is ideal for grooming Spaniel, Afghan and Setter coats. Could also be used for Terriers such as Schnauzers. This was brilliant on a cocker spaniel to thin out its coat would recommend.